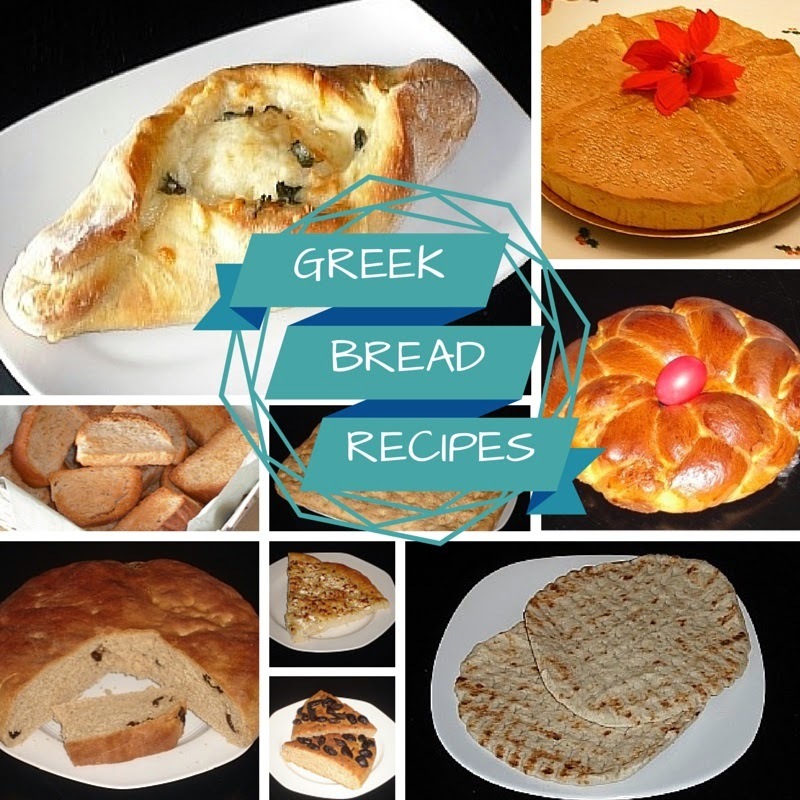 There are several types of bread traditionally made in Greece - some of them at particular times of the year. We've put together a list of 9 breads for you. Just click on the links to go to the recipes. A lovely bread with Greek feta cheese. It's a wonderful accompaniment for any dish, but especially for Greek Bean Soup (Fasolada) along with olives. This is a traditional bread eaten at Christmas and right up to New Year. The name Christopsomo means Christ's Bread. A bread traditionally eaten on Clean Monday at the beginning of Lent. A tasty, nutritious and filling bread. Try it with Greek salad with lots of olive oil! A lot flatter than Olive Bread and the olives are on top rather than inside. These are a kind of rusk. A boat-shaped bread with a buttery-cheese filling. Pitta Bread can be found in shops all over the world, but it's so much nicer (and cheaper) to make your own! A bread/cake traditionally eaten at Easter.